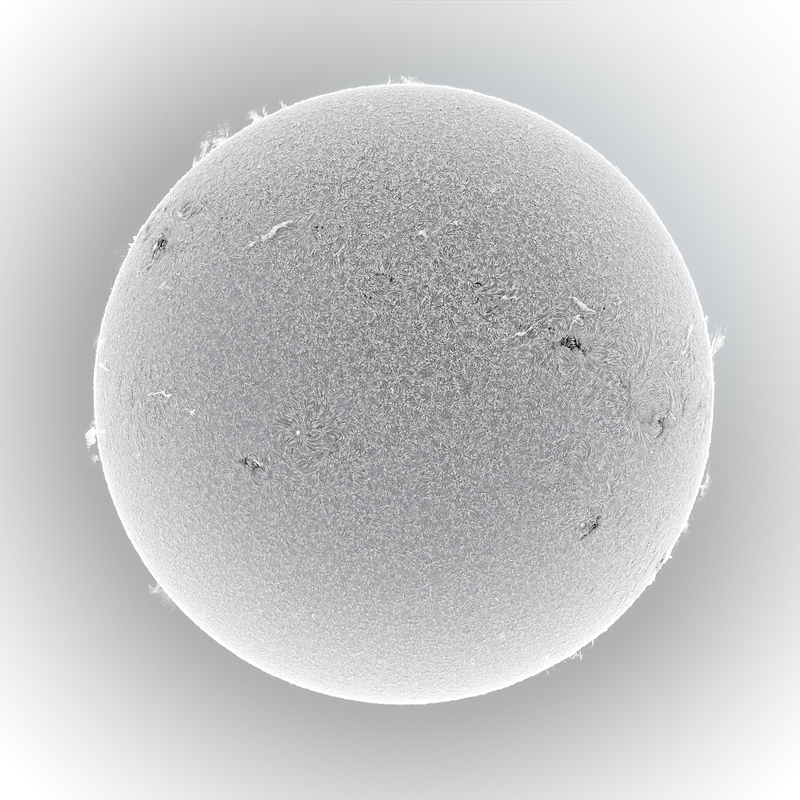 Experimenting with a borrowed Coronado 90mm hydrogen alpha telescope, double stacked. Poor seeing for this session. 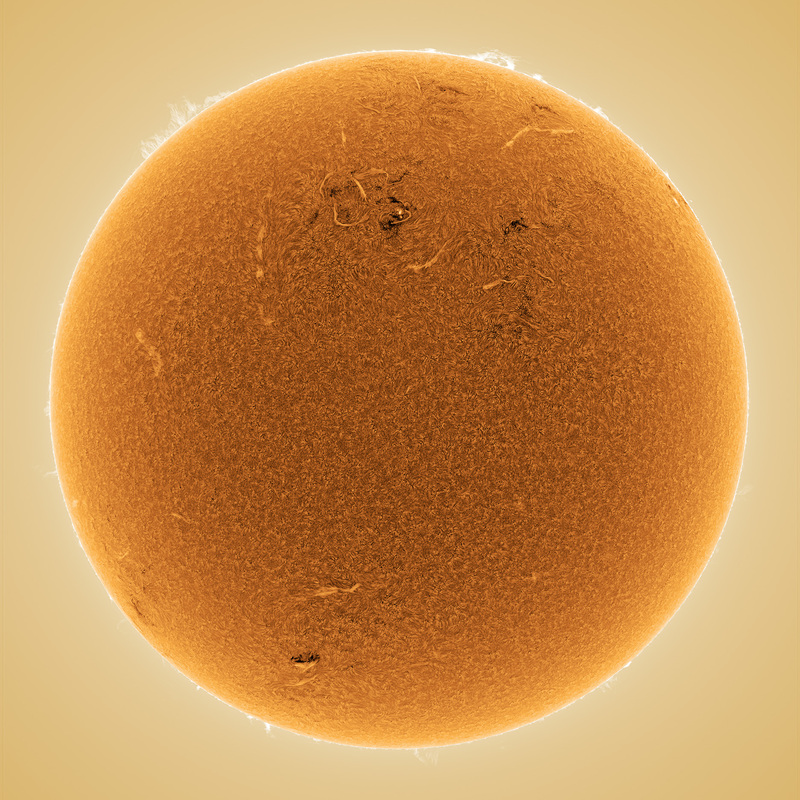 Compare to a full disk taken with a single Ha filter on July 14, 2013... good seeing!